Navratri is a festival that is celebrated around October every year (its actual dates are lunar). In line with its meaning the festival goes for “nine nights”. I must confess, I don’t know much about the technicalities of why Navratri is celebrated, but I believe it is related to invoking the energy of the Goddess Durga. My memories of Navratri growing up as a child in Australia, are going to a school hall all dressed up in my best Indian outfit and dancing around in a circle, sometimes with sticks! 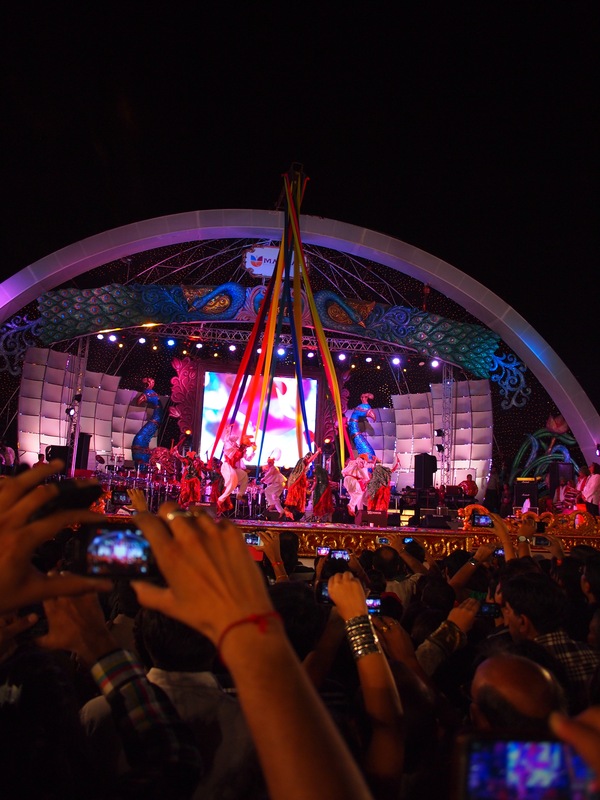 I am told now that participating in this kind of dance (garba raas and dandiya raas for the one with the sticks), is something most commonly done by Gujaratis, and not by many other Indians. I had no idea, until I was in Madhya Pradesh last year during Navratri and couldn’t find any function to go to at all. So this year I decided I simply had to go to a Navratri function. It has been about 20 years since I last went to one. 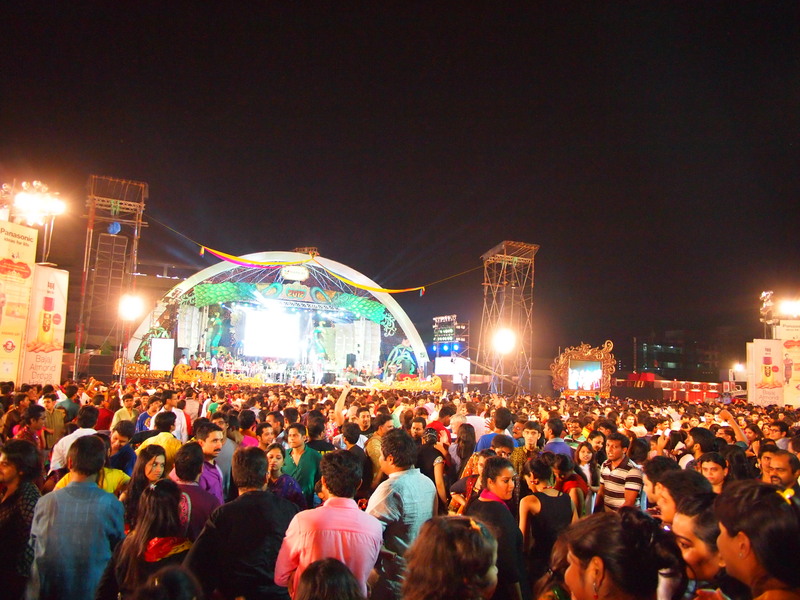 A friend and I found a few big functions that were going on in Mumbai and chose to go to the biggest one we could. Apparently 80,000 people attend this every year! So I put on my finest outfit and got ready to dance. The venue itself was massive and had several entrances, which made it very difficult to meet up with my friend. Finally through the gate we entered an arena of at least 10,000 people. It was huge! There as a stage, with a singer and dancers. But best of all there was so much colour. 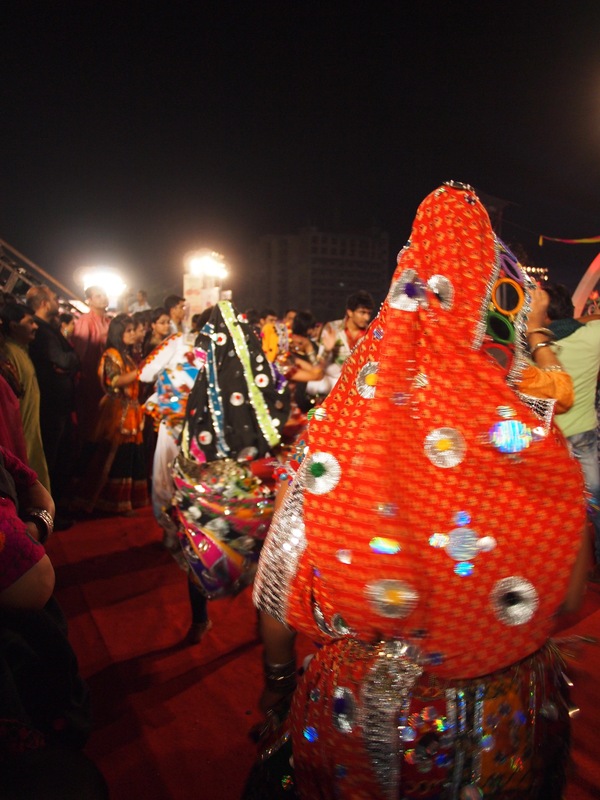 People formed their own circles in their groups and danced around in some spectacular outfits. It was almost dangerous at times because of how fast they were moving, I saw one girl take out about 4 people in one rotation and it didn’t slow her down at all. Unfortunately I didn’t get to dance, it seemed like you had to bring your own crowd along to dance and no one seemed open to having others join their groups. Personally, I think I would have hurt myself trying to keep up with them so it probably wasn’t a bad thing. I just loved the people watching. The colours, laughter, dances and joy. Just fabulous! 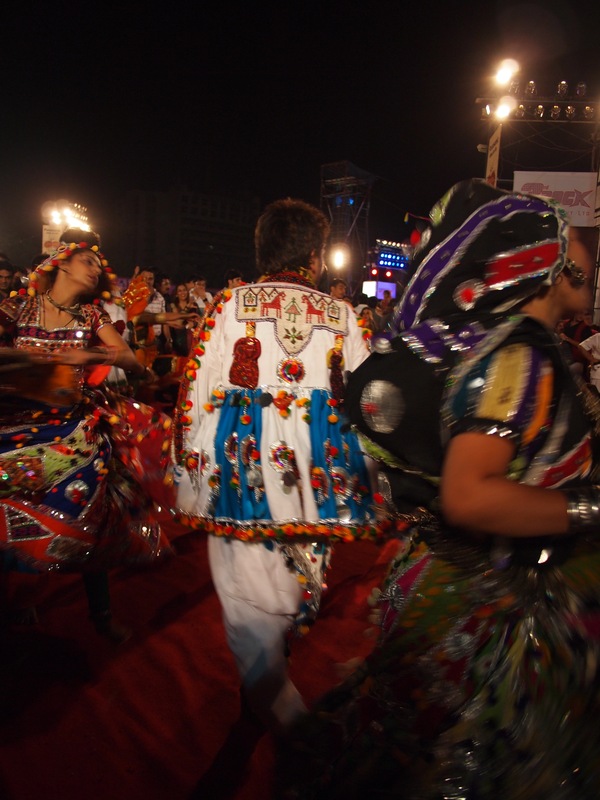 There are various Garba styles based on cities. 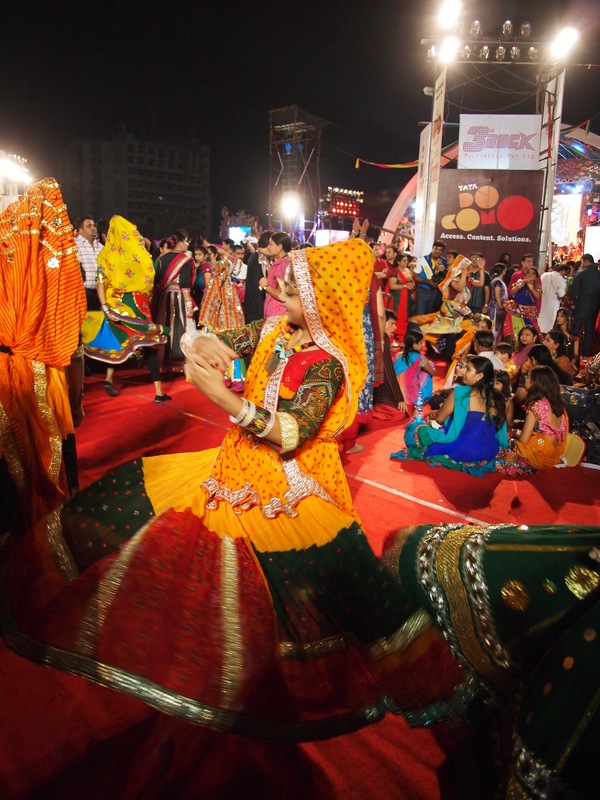 Try to visit Vadodara, Ahmedabad and Rajkot in future, each of them have unique garba culture. 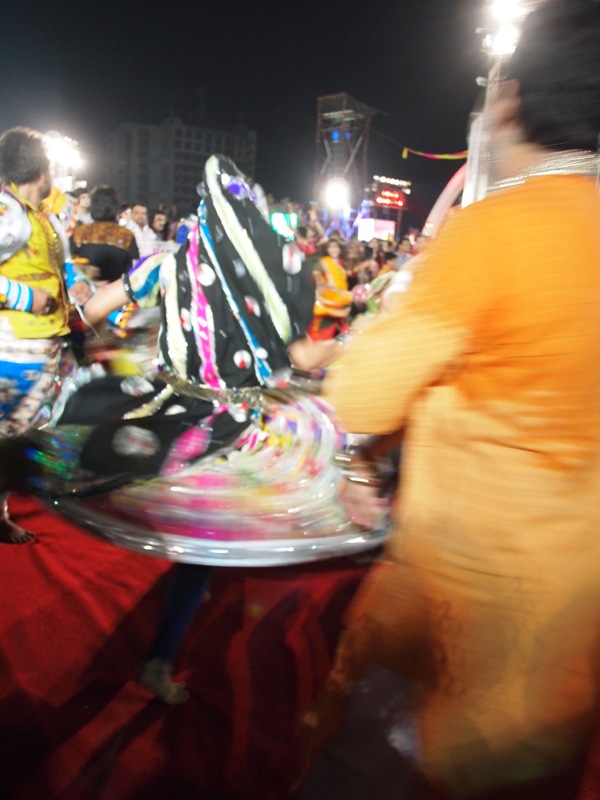 In Vadodara, there wont be group garba but line based garba – you can enjoy with others too. Google “United Way of Baroda”. Fabulous, I will have to try that next year.